This bright statement piece is being shared by Unique of Le Ekhaya. Hi Unique. We would love to know a bit more about you. Hi! I am a creative and I love what I do. My mind is always buzzing with new ideas and trying to imagine new ways of crating hand made jewellery that just make a STATEMENT. I've just recently graduated from Regents University with a BA in Fashion Marketing and this really opened my eyes within the creative industry. Can you tell us a little something about the item you are featuring? This is my favourite piece and it's called the Shoulder Duster. It's an elegant statement piece that is very daring. It's very lightweight and can be worn to any occasion. This is part of the new collection that features statement earrings in varied jewel tone colours and will be available on the website in July. I make handmade statement jewellery using a wounding technique which I have developed over the years to create unique pieces. It certainly is statement and looks perfect for the summer months. When and how did you learn the wounding technique that you have used? The technique I use has been developed over many years and was inspired by the way Zimbabwean women used to wound their hair in black cotton. I'm a fashion designer by trade but last Christmas I wanted to take a break from pattern cutting and designing and I started playing with embroidery thread wrapped around a wooden spoon. The idea just took off from there. How did you decide to turn your creative skills into a business and what inspires or motivates you? I've always wanted to run my own business and be my own boss and this has given me that opportunity. I am motivated by being told no. This has always made me question why. I knew I had a gift from when I was very young and I just kept pushing. Good for you! I look forward to seeing some more of your work. Meanwhile, can we fine you online? Is this year your first at the Handmade Fair? Yes this will be my first year and I'm uber excited and a tab bit nervous. Looking to be inspired by all the people out there that have made creating not just a hobby but a business. It is just going to be amazing isn't it? There will be so much inspiration on so many levels! What will visitors find at your stand? Hmmmm loads of offers and unique one off statement pieces that will be revealed at the fair. I will be on stand E24. Up until the fair I will be found at Sptitalfields Market in London Every Friday, Saturday and Sunday. Thanks Unique! So a quick fire round for fun! Thanks so much for sharing Unique. We will see you in September for inspiration galore! 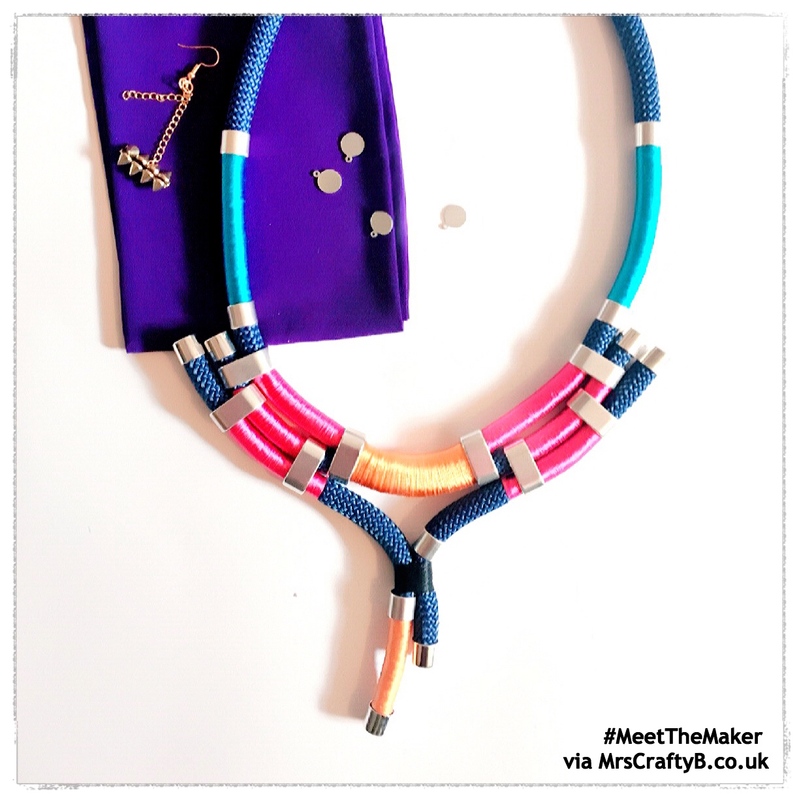 Loving the interviews Mrs Crafty B and getting excited for The Handmade Fair!